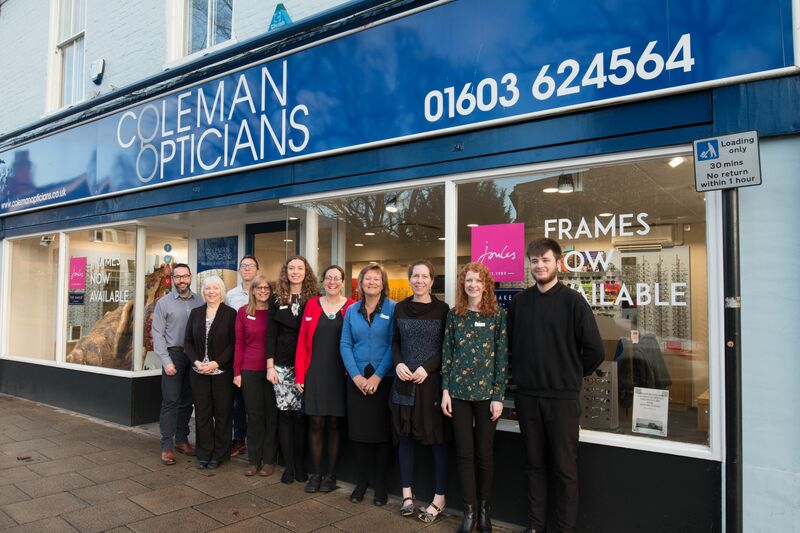 Coleman Opticians Hearing and Vision centre on St Augustine’s Street, Norwich wins the award for Family Optician of the Year 2019, against tough opposition from 5 other national finalists. Winning an Optician Award is one of the highest accolades for optical professionals, practices and companies. The director team from Coleman’s attended the ceremony on Saturday 30th March at the Hilton, NEC, Birmingham. Pat Sharp was the MC for the evening, and the cheers from the table when Coleman’s were announced emphasised how much this award means to this hard-working team. This family focussed business that has been around since 1930 practising as a chemist, specialising as an optician since 1945, continues to foster the core values of its history through the next generation of its owners. These values are supported by the whole team with their friendly approach to all their customers. The practice has a seating area specifically for children with toys, games and a selection of engaging spectacle frames including popular trends. It is bright and friendly to help children feel comfortable whilst at the practice. There is also a separate waiting area with tea and coffee facilities, video screen, books and magazines that is accessible and roomy for the adults. Coleman Opticians social media feed is active within the local community, supporting projects and networking with the business sector too. The practice encourages interaction, informing patients of the services they offer and the importance of family eye health. They run family reading activities and events in line with their charity involvement and are always looking for exciting ways to communicate with outreach activities within local schools and groups. 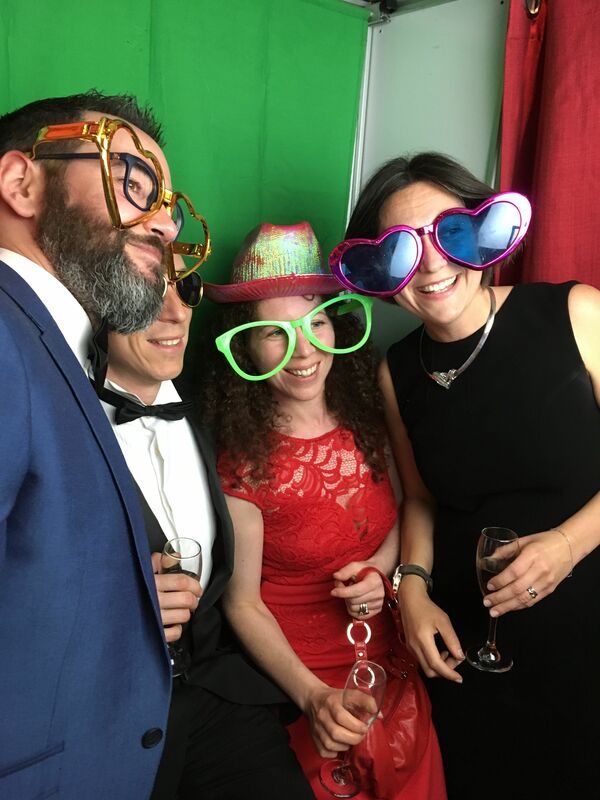 The culture from the team at Coleman Opticians extends into the local community too with a wide range of activities, charity support and sponsorship. Each year the team support a local charity and last year Norfolk children’s charity Break was chosen. Their support involved sponsoring a sculpture on a charity GoGoHares trail that ran throughout the county, encouraging families to find all the hare sculptures using a map or app on a large-scale treasure hunt. This sculpture now resides in the shop in Norwich after it was bought back at the charity auction where over £400,000 was raised. The practice like to encourage people to feel happy and to talk whilst in the practice and are very aware of loneliness in the community, this is endorsed by some of the practice fundraising initiatives including book swaps as well as tea and coffee making facilities. The opticians are part of the Recycle for Sight Programme for the local Lions club, supporting sight for families in developing countries as well as being a location for Refill Norwich, where people can come in off the streets to refill their water bottles or have a drink of water. They also found out in January 2019 that they had been chosen as a centre for recycling contact lenses being part of a global campaign to reduce plastic waste. The Coleman principle of supporting the local community and local charities is encouraged in their staff. The company pay for every member of staff to have one day a year to volunteer for a charity of their choice. This initiative gives staff the opportunity to learn new skills, have fun and help others as well as having great mental health benefits. Coleman’s are delighted to have been chosen as the winner of this prestigious award and the judges were particularly impressed with the education links in the local area and go out to schools to teach children about eye health as well as going along to High Schools to provide opportunities for learning about a career as an optometrist or audiologist as the practice extends its healthcare to hearing also. 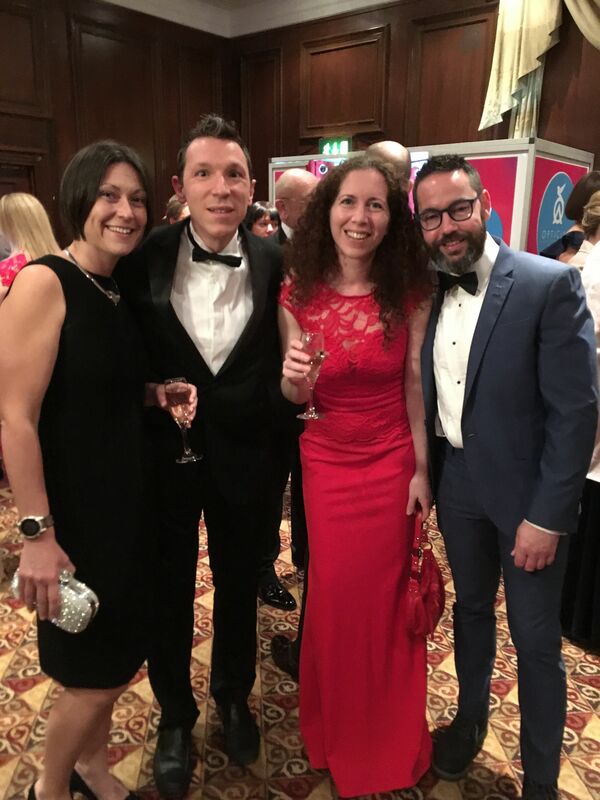 Kate Fenn, Director ‘We are absolutely over the moon to be announced as the winners of The Family Optician of the Year 2019. This award epitomises all our core values and we continue to strive to make eye health education and community one of our key priorities’.